This Pioneer Wedding Stack Cake is from that time I baked my own wedding cake. Yes, I love baking that much! I made the applesauce and apple butter days before and canned; then I pre-measured all the dry ingredients and placed them into a large zip bag. On the big day all I had to do was mix in the wet ingredients – and of course bake six layers and decorate it! Why not?! Well because that’s just me, I love creating my food with a wonderful story behind it. This cake is a traditional pioneer style cake, it is simple and humble, yet elegant. 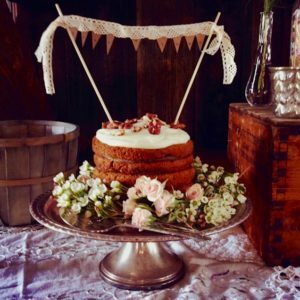 Some believe, guests attending a wedding in early western settlements brought one layer of cake along as their gift to the bride and groom – all of the layers were stacked together creating a tall, elegant wedding stack cake. Place butter and eggs in large mixing bowl and allow to rest until room temperature |about 30 minutes|. Meanwhile - preheat oven to 375 degrees Fahrenheit and prepare pans with butter and a light dusting of flour to prevent the cakes from sticking; I used 6 inch pans. Now in a large bowl, with an electric mixer on medium speed, beat butter for roughly 30 seconds. Gradually add the sugar and beat until light in color |a pale yellow| and fluffy. Then add the eggs one at a time, beat until combined. Add molasses and vanilla. 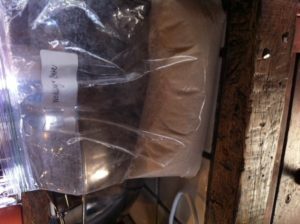 Then, alternately add flour, baking powder, baking soda, salt, and spices; and beat gently on low for just a few seconds. Then add milk and beat everything for about one minute. The batter may seem a bit lumpy or curdled even, don’t worry. Pour 1 Cup and 2 Tablespoons of batter into prepared pans and bake for 10 to 15 minutes |each layer| until an inserted wooden pick comes out clean. Set all layers aside to cool on cooling rack. Once cooled, flip all the layers upside down. Note: the part of the cake that was in the bottom of the pan should now be your top, to ensure that all layers are flat. If the top of the cake in the pan rounded during baking, take a sharp knife and trim it straight across to create a flat surface to lessen a tippy cake. Place first layer on cake plate and spread with ¾ Cup applesauce | apple butter mixture. Place another layer on top and continue until the last or top layer. Whip the maple syrup and whipping cream together and top the cake. Add fresh sliced apples and flowers to garnish. Peel, core, and cube all apples. Place apples and apple cider into a large pot or saucepan. Bring the mixture to a boil, then drop the heat down to low and simmer until the mixture looks like applesauce; this is when you will have the apple sauce you need. Scoop 3 Cups of apple sauce out of the pan and set it aside for the applesauce you will need for between the layers of the cake. Take the remaining applesauce mixture for apple butter and blend it until smooth. I use a blender for the smoothest texture. Yet a hand emulsion mixer can be used as well. Place the smooth apple butter back into the pot |or saucepan| with the spices and salt and cook on low for 1 hour. This additional cooking process will make the apple butter nice and thick. Now mix the applesauce and the apple butter together and spread between the layers of the cake. It was five years ago, my husband, Ekiah and I became husband and wife and sealed our love with not only a kiss, yet a wedding cake kiss. 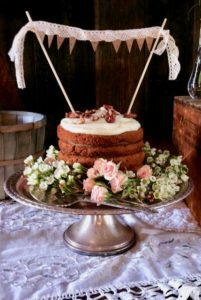 A traditional Pioneer Wedding Stack Cake is made with warm spices with homestyle applesauce and apple butter between the layers, and maple whipped cream to top it all off. This cake is a traditional pioneer style cake, it is simple and humble, yet elegant. 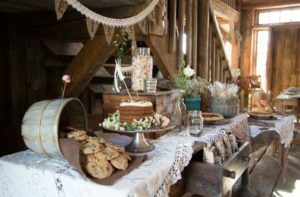 Some believe, guests attending a wedding in early western settlements brought one layer of cake along as their gift to the bride and groom – all of the layers were stacked together creating a tall, elegant wedding stack cake. 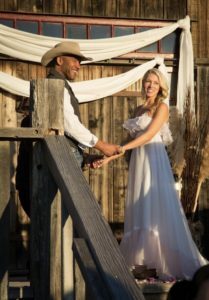 Our anniversary is not only a celebration of our love, just us two – yet what our love has created. 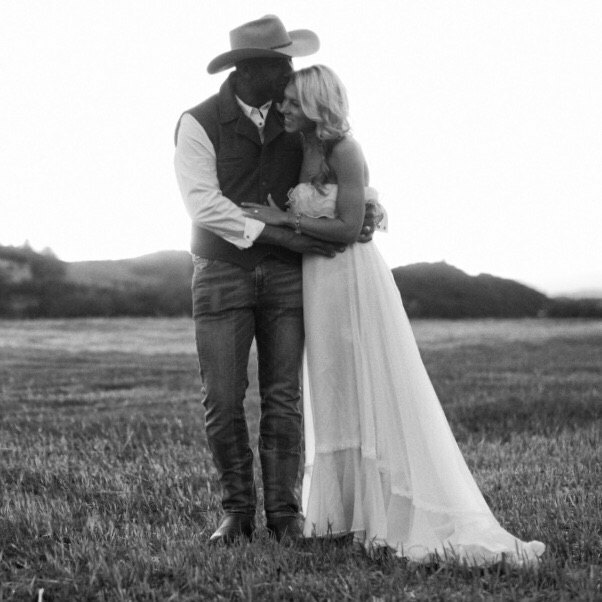 Two families came together in the union of our love and our daughter… Our daughter who has brought us and both families so much love and light. Her name, Anasa, a Swahili word that means enlightenment and joy. 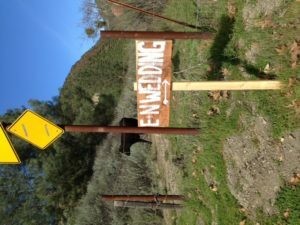 Our wedding day was an unusually warm winter day. It was about 75 degrees outside in the foothills of Los Olivos, California. There we were in a farmhouse that was pieced together by an artist who lives in Santa Barbara. 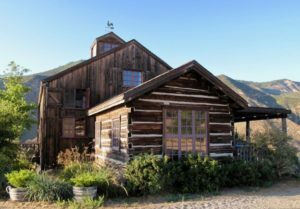 The artist took parts, whole rooms even from barns here in New England and pieced them all together on top of a mountain and called it Figueroa Mountain Farmhouse. We were surrounded by 80 of our closest friends and family members. 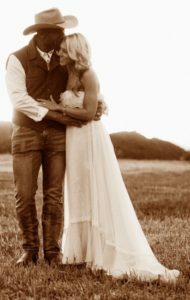 When the night fell, it was a magical midwinter evening, we danced under the stars in cowboy boots alongside the soft glow of oil lanterns and howled at the moon from too much whiskey. 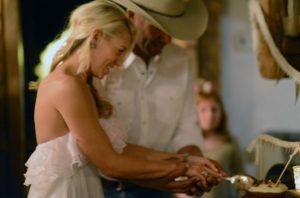 It was perfect and so was this HOMEMAYD cake! Disclaimer || There are pecans atop this cake in this photo. This cake was created before our daughter |who has a peanut and tree nut allergy| came along. Therefore, today I would omit the pecans and add sliced apples to adorn the top, or leave it naked.